The Turnbuckle Wall Toggle features right and left hand UNF threads. 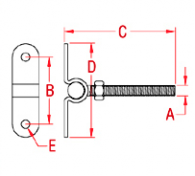 These toggles are compatible with the closed turnbuckle bodies and are offered in sizes ranging from 1/4” to 3/8”. 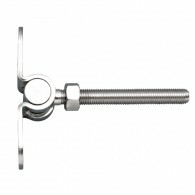 They are ideal for a variety of marine and industrial applications.